School and Church fundraising ideas have found a new home on popular crowdfunding sites like GoFundMe and Kickstarter. The sites get massive traffic from all over the world and can help your fundraising ideas go viral. I recently gave a webinar to the Manta small business community on how to use Crowd Funding, available free here. While you can reach a bigger audience for your fundraising ideas through crowdfunding, it hasn’t made convincing that audience any easier. You still have to get them to the page and explain why your project deserves their support. 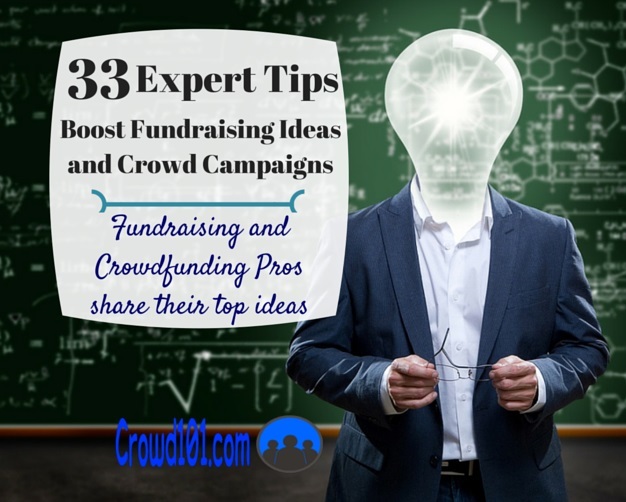 That’s why I reached out to 33 experts in the field of crowdfunding and fundraising to get their top tips on how to boost your fundraising ideas or crowdfunding project. Click through the links to visit each expert’s page or leave a question below. The post is really long so you might want to bookmark it so you can use it as a quick reference later when you need it. Also, please use the social share buttons on the left to share with your friends. They will appreciate the information just as much as you do. This is one of the biggest topics on the Crowd101 blog because it is so important. All the media attention is focused on crowdfunding and fundraising success stories but no one talks about the process and work involved. The pre-launch process is where you will build excitement and a community around your fundraising ideas and crowd projects. It’s the only way to really reach the crowd once your campaign goes live. Pre-launching is so important that it’s 11 of the 17 steps in Step-by-Step Crowdfunding, my crowdfunding ebook that guides you through the entire process of raising money from the crowd. We keep coming back to that pre-launch idea but hitting on different aspects of pre-launch crowdfunding. Crowdfunding, like any fundraising campaign, can be a lot of work. Reach out and build a strong team early in the campaign and things get infinitely easier. The project may be your dream but there are others just as passionate about it and the project deserves to get funded. Make it about something bigger than yourself. Most people are surprised when they see how much work a crowdfunding campaign can take to be successful. From pre-launch building your list through social media and offline events to keeping the momentum going with promotions during the campaign, crowdfunding isn’t about just setting up a page and waiting for people to donate. Researching campaigns related to your fundraising ideas is the first step in pre-launch crowdfunding. It will not only give you an idea of how much you can raise and what rewards to offer but it might open up whole new networks of supporters through reaching out to the campaign owners. One of the best benefits from crowdfunding your fundraising ideas isn’t the money at all but the sense of community you build from the campaign. Not only will your community of supporters come to the rescue with financial support, they’ll also act as cheerleaders for your cause on social media and in future campaigns. It’s because crowdfunding supporters feel a special level of buy-in with the businesses and fundraising ideas which they support. “The way to deal with a crowdfund community (or anything social network based) is to talk to its participants as human beings rather than hiding behind PR propaganda or disappearing altogether. The idea of building a community is huge for crowdfunding and fundraising ideas in general. No one is going to support you if they don’t feel a part of the project. The only way to do this is by being truly social and not just spamming your message out. I talked to 11 crowdfunding campaigns that were raising almost $500,000 about their church fundraising ideas recently and the biggest theme was building that sense of community. 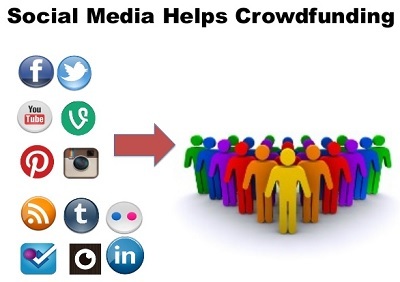 A successful crowdfunding campaign means reaching out to the real ‘crowd’ in social media. Updating your message a few times each day on multiple social networks can seem impossible but use a social media tool to schedule out your posts. This one is written to people raising money in equity crowdfunding but it is applicable to your fundraising ideas and rewards-based crowdfunding as well. Understand who is most likely to relate to your fundraising idea and the reasons they have to support it. This will help you reach out on a personal level. Your existing network is the best place to start with outreach because you’ve already developed that level of trust that is crucial to reaching others. We touched on the importance of a team earlier but there are other reasons to get at least a few people to come together around your campaign. Slava Rubin, founder of IndieGoGo, states that teams raise an average of 70% more money than campaigns run by a single person. Part of this might be a function of multiple people being able to do more work but bringing in others can bring in a lot of great skills as well. A team project also helps to establish social proof for the project. Get together a group with experience in marketing, finance, production and project management and your project is no longer a risky, garage-run startup but a full-fledged business. I love this idea. Take a page from the Avon playbook and create a ‘sales force’ for your fundraising ideas. You probably won’t be able to offer any monetary gain but getting people onboard with an emotional sense of belonging or commitment can be just as good. Each team member should have their own goals and plan to reach them. “Run it like a business. Professionally. Figure out what your project brings new to this world. Identify the key benefits, SWOT the heck out of it and advertise it properly. Contact a specialist if you need to. This one is geared to business crowdfunding but applies to fundraising ideas as well. Many people are going to be skeptical of your legitimacy as a fundraising campaign. Detail out your budget and how the funds will be spent. Provide a reasonable timeline and show people that you have put the time in to think through challenges and are serious about the project. 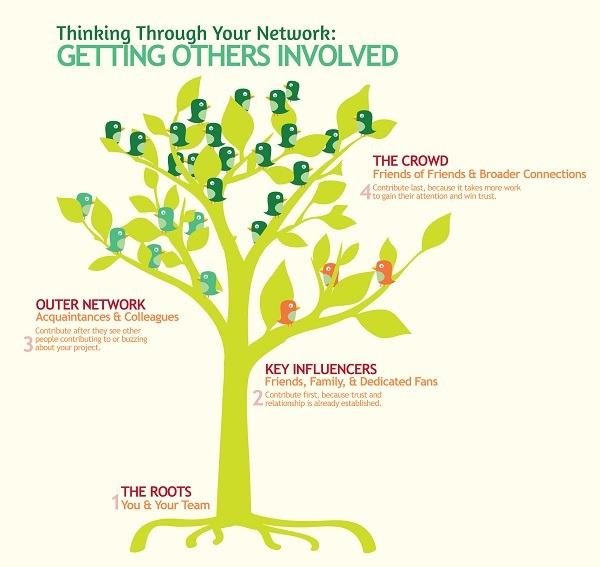 The first “Habit of Highly Effective Crowdfunders” that I talk about in the linked infographic is the need to be social. Data shows that campaigns where the founder has just 10 Facebook friends have just a 9% chance of raising $10,000 or more. Campaigns with founders that had 100 friends saw their odds jump to 20% of raising that amount. It isn’t necessarily the number of social connections you have but your ability to reach out and connect with people. It’s critical that you make your message sincere and personal when putting together your fundraising ideas and crowd campaigns. People want to feel a part of the community but they are still extremely reluctant to trust anyone on the internet. Building this trust is only done through honesty and being a real person in your campaign profile. This is best done through lending your own voice to the project and crowdfunding campaign. I see a lot of fundraising campaigns that look like they were written by a robot, absolutely no emotion whatsoever. Write-up your fundraising idea and campaign as if you were talking to someone. Tell them about the need and share your excitement with a sense of urgency, and above all, be sincere. Most fundraising campaigns have a funding deadline, though there are sites for fundraising ideas that are open-ended. This and the specific project needs create a real sense of urgency but you need to get that across to your readers. One of my favorite crowdfunding and fundraising maxims is, “Make it Personal and Make an Impact.” You absolutely have to tell your story, even if the project isn’t about you. Tell how you became involved and why it means so much and has changed your life. People relate to other people, not to faceless ideas. One of the big themes in the business world right now is that people are paying for experiences. You can have a great product but if you cannot sell the experience people get by using that product or service, then you won’t be as successful as you could be. Ernest’s point goes one step further and extends it to the rewards you offer on your fundraising campaign. Ready to start crowdfunding your fundraising ideas? There are literally hundreds of crowdfunding platforms on the internet but not all will be right for your fundraising campaign. The largest platforms like Indiegogo and GoFundMe offer huge audiences but there are smaller sites that might attract an audience that is more directly appropriate to your campaign. Check out the Ultimate List of Crowdfunding and Fundraising Websites. 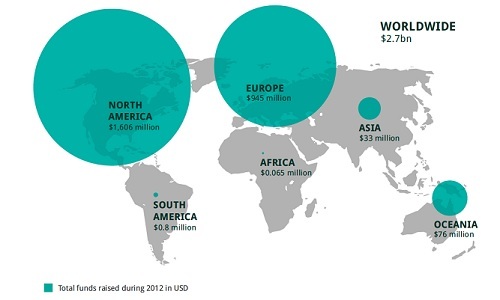 Why limit yourself to donors in just one country, say 300 million in the United States, when you could open support for your fundraising idea up to 7 billion people around the world? Make it easy for other people to find you and support the cause. This is great advice for any crowdfunding or fundraising idea. Building relationships with groups related to your project can be much easier than reaching out to individuals. Another post recently on the blog looked at 11 school fundraising ideas, many of which were reaching out to other organizations for increased networking. Not only do you need to reach out to people but you need to have a strong outreach plan to reach the influencers, journalists and bloggers that are going to give your fundraising campaign a boost. There are a lot of outreach tools available on the internet, some charge a monthly fee while other methods can be free. I discussed one method in a prior post on drawing people to your crowdfunding blog. You can use Google to find people talking about your fundraising idea or campaign topic. From there, sites like MOZ Open Site Explorer can help find people linking to that person or blog. You can build a huge outreach list in very little time. You may have a great outreach list and network but if you can’t get people to share with their network, you’ll ultimately be limited in what you can raise. Make social share buttons (like the ones on the left-side of the screen) easy to find and actually ask people to pass the info on to their friends (ahem…). Not only does sharing help get the information to more people that need it but it helps get your project found on the internet through Google search rankings. We all have our favorite hangouts, whether online or offline. Don’t assume that just because your immediate network is almost exclusively on Facebook that it is only there that you need to market your fundraising idea. Reach out to different audiences through different platforms. Find business people on LinkedIn or creative-types on Pinterest. Launching your fundraising ideas through a crowd campaign can be an intense experience. You’ll need a strategic view that spans every aspect of business from marketing and communications to accounting and logistics. Putting together a plan around social media, offline marketing, administration and management before the campaign launches will save you a lot of time and headache. “Crowdfunding looks easy, but there's waaay more to it than having a great product. You have to grab hearts and minds so people want to support you and you must stand out from other, similar offerings. Send out personal emails to key influencers in the same field to ask them to support you, both by supporting the project and spreading the word. Create messaging that supporters can use to share your story. Have a schedule of social posts custom written for the voice and community on each platform. Organization is one thing that many crowdfunding campaigns, especially a lot of the smaller fundraising ideas, really lack. Hours of tasks start piling up and people get overwhelmed by the campaign. Put together a basic schedule of when you are going to handle specific duties like emailing, responding to questions, outreach and other recurring tasks. I like Chris’ hard-hitting realism. Make your crowdfunding or fundraising campaign your own and be accountable for its success. I have seen a lot of really great fundraising ideas that deserve to be funded but ended up falling short. Nobody took responsibility for making the campaign a success. This is harder to do for a fundraising idea than other crowdfunding campaigns where a tangible product is available as a reward. Get creative with your rewards, whether you offer a physical item that people can receive or some emotional reward. Check out the rewards of other fundraising campaigns that are similar to yours. 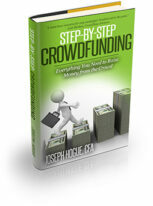 “Planning is a HUGE part of running a successful crowdfunding campaign. Plan your social media campaign and start building an audience well in advance. Plan key points, updates, email campaigns, and event appearances all before you start your crowdfunding campaign. Yancey Strickler, cofounder of Kickstarter, reports that projects with videos have had a success rate of 54% while those without a video have only been successfully funded 39% of the time. Directly below your teaser video, provide a few short bullet statements that hit on the strongest points of your project. Random visitors to your page may not intend on scrolling down any farther than this so you really need to make a connection early. “It's well-known that crowdfunding campaigns often have a time in the middle where support slows down – after all, most support comes in at the beginning and end of your campaign. In order to try and combat the mid-campaign slump, I advise crowdfunders to think about what ‘content' they can roll out at that time. This is a great point. Take a look at the Kicktraq chart below for Rennik Soholt’s Forced Change Kickstarter campaign. If it were not for a few days where daily pledges spiked, he would have had a very disappointing few weeks in the middle of the campaign. This is a pretty typical chart (except for the few days of higher pledges) for most crowdfunding campaigns. How did he manage those few days that brought in up to ten times other days’ pledges? He found backers to commit to a matching pledge on anything raised that day. Then he promoted the match pledge out to his list and anywhere else he could think to do it. It really helped to keep things moving and finally in reaching his $30,000 funding goal. Supporters to your crowdfunding or fundraising idea are worth much more than money. A passionate supporter that can only afford a $1 donation but can spread the word and help out is worth just as much as your big money donors. Learn how to utilize people for their skills and nurture their passion for the campaign. This is a great idea that many do not consider. Most people think of their crowdfunding campaign or fundraising idea as a one-off event, raise the money and get the project done. Think of your campaign as a living idea that grows and evolves well after the first campaign. You are going to be putting in a lot of work behind your crowdfunding marketing strategy and outreach, don’t let it go to waste after the campaign is over. Again, not just for an equity crowdfunding campaign but applicable across crowdfunding and fundraising. You need to do two things when fundraising, bring people to the campaign and establish a sense of trust and community. Your existing personal network may trust you but they don’t know anything about the campaign. Your outreach may uncover people that are passionate about the cause but they don’t have that level of trust with you. Learn how to develop both ideas and you can reach anyone. A good point that a lot of people overlook. Your longer-term goal of meeting a funding goal or reaching a certain number of people is what you’re aiming for but how do you get there? Developing a good strategy around daily or even weekly goals can really help to chart your path to the finish. They also help keep you and your community motivated. Besides being afraid to ask, being afraid to ask big is one of the biggest problems I see in fundraising. Use the ideas from the list to create real emotional attachment and community around your campaign. Develop a real need and a sense of urgency and people will be ready to open up their hearts and their pocketbooks. Feature one or two really big reward levels that can distinguish the donor, making them feel a part of something bigger than themselves. This one is extremely important. Only testing your campaign message or pitches with your personal network runs the risk of groupthink, where nothing new is added because everyone shares similar ideas and experiences. Reach out to people with other points of view and make sure your fundraising message speaks to a broader audience. One of my favorite crowdfunding tips is the pre-launch party. While much of your funding may come from online sources, your offline outreach with your existing network can be extremely powerful in getting things started. Put together a small event with your closest group of supporters before the launch. Talk to a few people beforehand to go over talking points and ways to guide the conversation around the fundraising idea. Get people talking and excited about the upcoming campaign and collect pledges for the first couple of days of the campaign. We’ve touched on a ton of fundraising ideas here, more than you might be able to handle in one sitting. You might want to read through the list and make notes, what goes in pre-launch and what is more applicable during the campaign. For each tip, think about how it relates to your crowdfunding campaign or fundraising ideas. Share the post with your friends and ask them to help relate it to your fundraising ideas. Work through all 33 tips and you will be well on your way to raising the money you need for your project. Did we miss any tips? 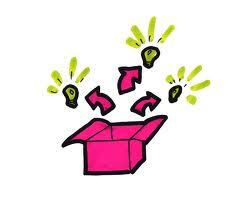 What is your top piece of advice for boosting a crowdfunding campaign or fundraising ideas? Please share it in the comments below. After reading your article, I think I am not ready to start my project on kickstarter. But I have to go as soon as possible but no social media action. Yours is a problem that many crowdfunders have and is why most campaigns disappoint. Not trying to be negative but if you do not have much of an existing social network that will spread the campaign’s message, the odds are against you. Crowdfunding is all about creating your own crowd at first so others join in later, kind of a bandwagon thing. If you can’t pre-launch your campaign then the best advice I can offer is to set your goal very low and just aim for the minimum you need to raise. From there, you will need to reach out to your friends and family to get the campaign going. It’s never over, until it’s over.